Does your mail arrive on time? Use shipping service labels to let shippers know when to deliver your packages. 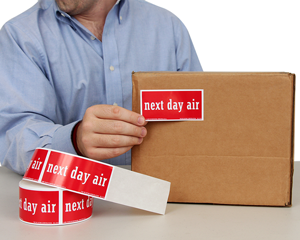 Shippers like UPS and FedEx normally ensure quick delivery, but a label with an expected delivery day helps carriers speed up their shipping process. 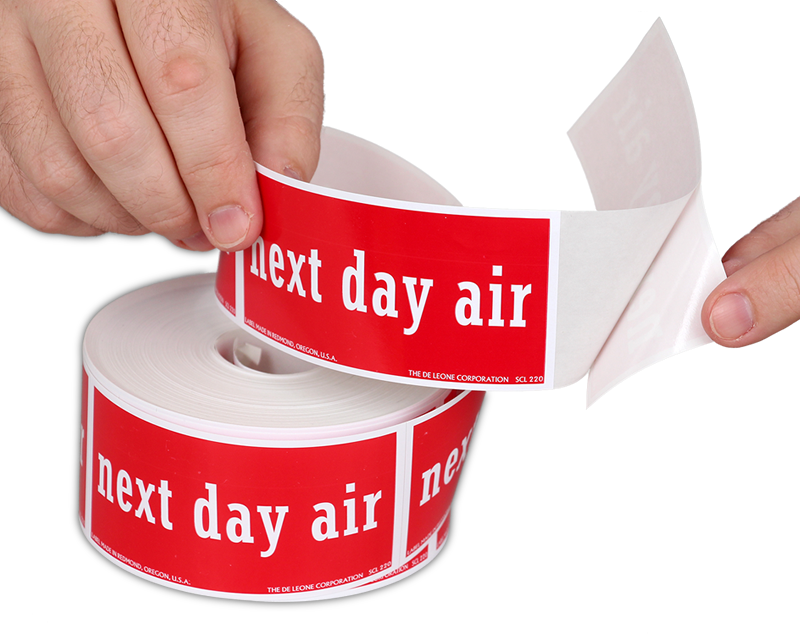 • Short and crisp messages for 2nd day air or next day air are easy to understand. 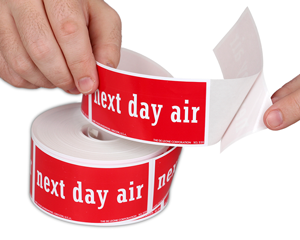 • Scratch and scuff resistant, our labels won't rub or peel off. • Ensure that packages are handled and delivered correctly.